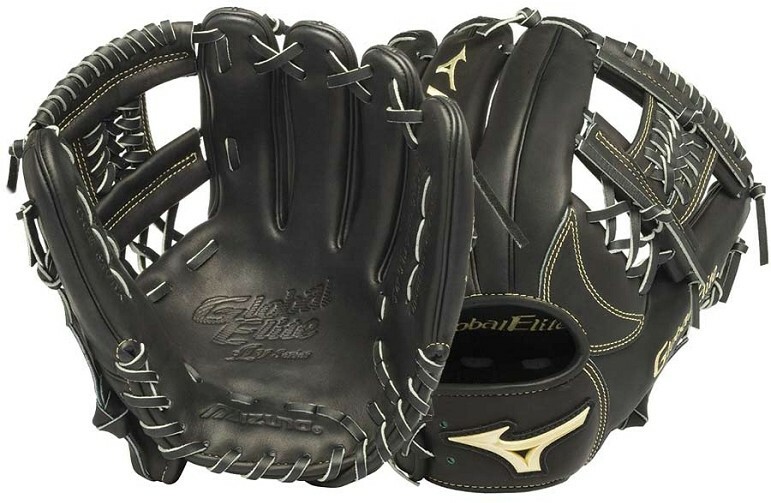 Mizuno GGE52VAXBK Global Elite VOP Baseball Glove, 11.75"
The Mizuno GGE52VBK Global Elite VOP baseball glove is made using their advanced Vibration Oil Processing (VOP) technology which begins with softening the fibers of the leather, then hand conditioning each piece from the inside. Japanese tanned, hand-oiled leather has the ultimate feel and softness and is cut from only the best sections of the hide. Roll welting increases the structural integrity of the glove and adds support throughout the fingers.